South Korea is well known for its technological upswing. Korean brands like LG and Samsung are present all around us in form of smartphones and other devices. But how does technology effect education in schools and in teacher education in a country that seems to be embracing technology so well? 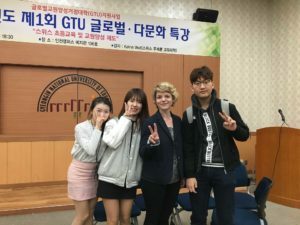 A visit at the Gyongin National University of Teacher Education gave me a wonderful insight into the topics, strategies and issues our partner University in South Korea is faced with and also a great new perspective on our own projects and work. 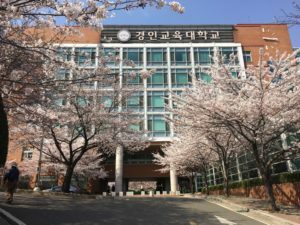 It is cherry blossom season and the Gyongin Campus in Incheon is full of blooming trees when I arrive. The first meeting with the international office is a warm welcome and great start to the following three day program. An official meeting with the president of the university is of course very exciting and the protocol is quite formal compared to what we are used to in Switzerland. Tea is served, business cards and gifts are exchanged and photos are taken for our memories and websites. 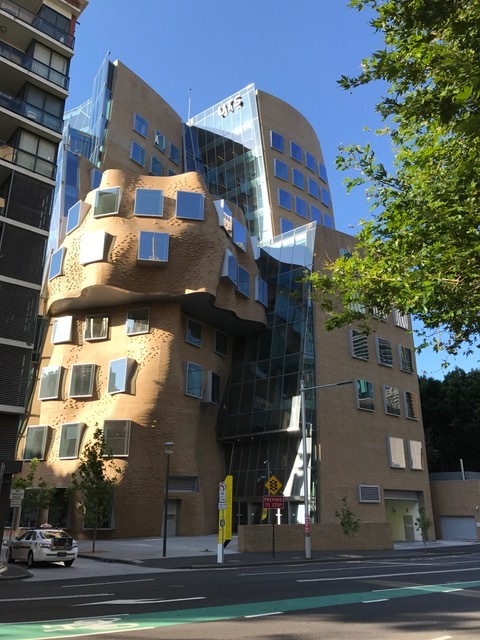 A series of meetings with different professors of the university as well as a student gives me an insight into the day to day life on campus. There are two campuses, one in Incheon and one in Gyeonggi-do. 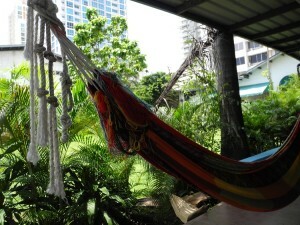 I can stay on campus in Incheon, which makes the stay very easy and comfortable. Everything is in a walkable distance from here. Everything else, like the visit to the remote campus, is organized by the international office team. I am so well taken care of during my stay. 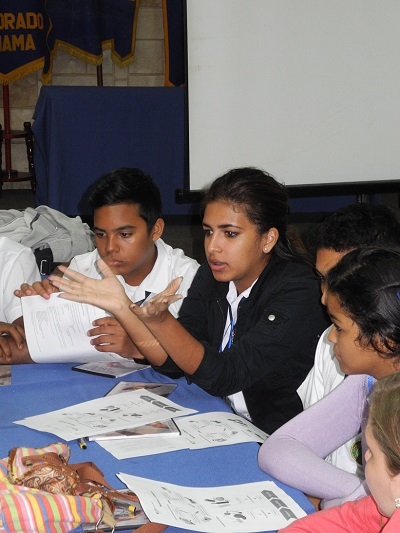 During the different meetings, I learn about the changes in governmental policies. 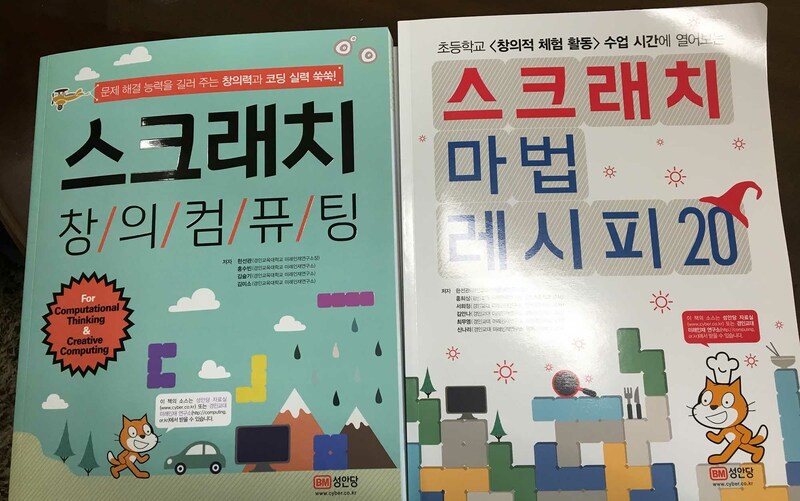 „Smart learning“ was an initiative by the Korean government but with the change of the government, many policies changed as well and the initiative was put on hold. New policies are being implemented and the curriculum is being changed toward a competency based framework. Digital media do play a role in the new curriculum. 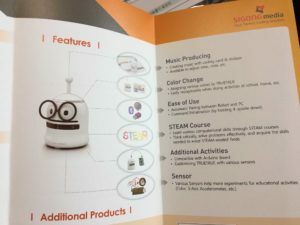 Mainly in the form of programming and computational thinking as subjects for students on different levels, as well as digital textbooks that will be implemented over time. Coding is one of the subjects that is now being introduced in several schools on all levels of education. I am able to attend one of the lessons at Gyongin University. 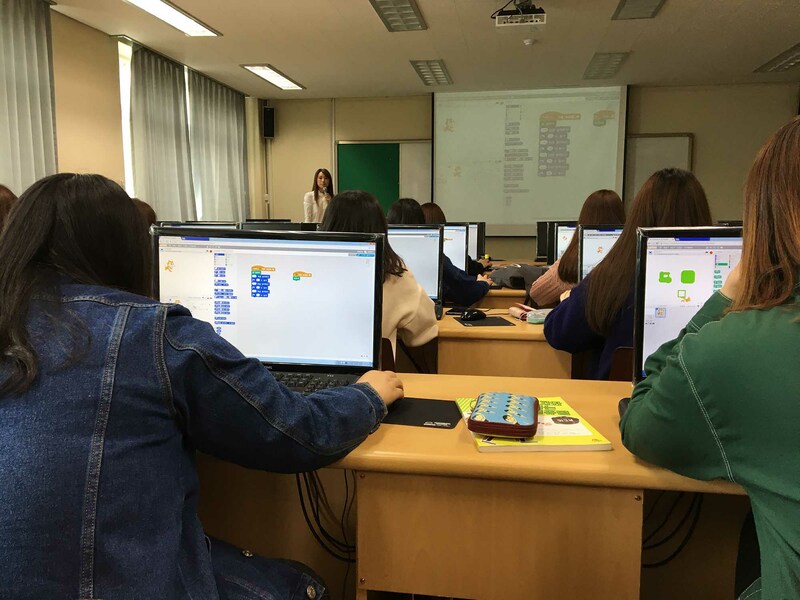 The students are given several tasks within the „Scratch“ programming environment. An open source programming language, developed by the MIT. 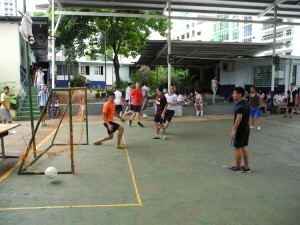 The students solve most of the tasks with ease. One activity makes them develop the code together. The rule is not to change the previous code of the partner but to work with possible mistakes and to find solutions or detours if necessary. Soon enough, cats are rotating across screens, leaving colorful traces. I meet with Professor Han, of the department of Computer Education. We speak about the importance of computational thinking for the curriculum and how it is not „just“ programming. That a diverse set of skills is required to solve problems and create solutions. 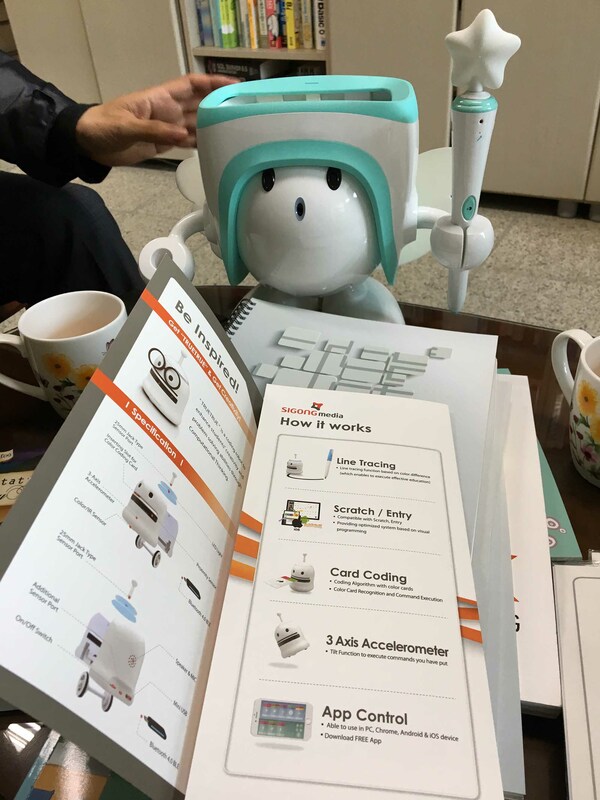 Professor Han is strongly committed to his work and shows the Scratch textbooks to me that he has translated into Korean as well as the brochure for the robot that his team is developing. I notice that many textbooks look very playful and comic-like, even for adult learners. I then get the chance to visit the Haeseo Elementary School next doors. 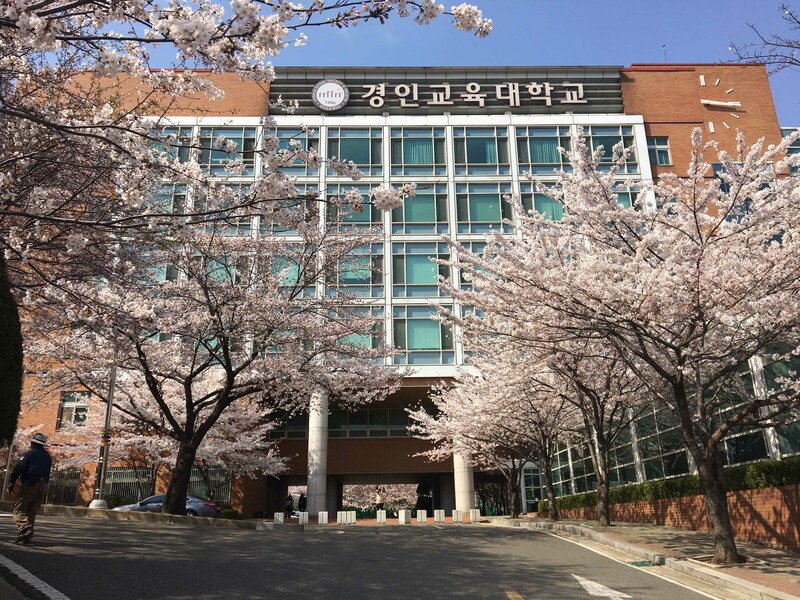 Many students of Gyongin University do their internships here but it is not the only school that supports the teacher education. 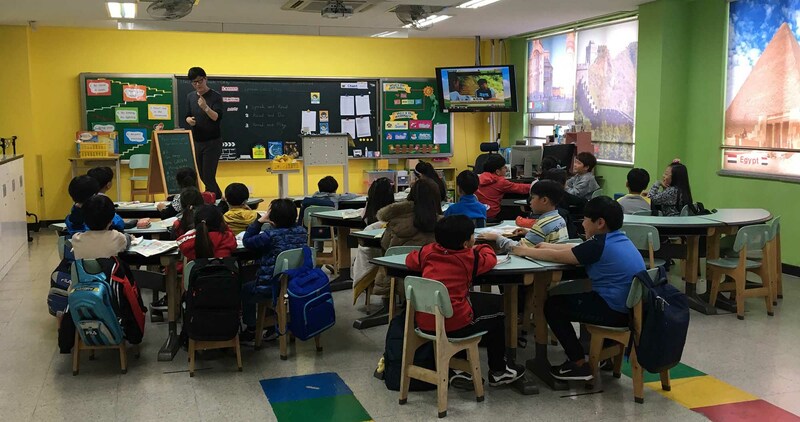 The kids are quite excited to see a foreign guest but quickly attend to the teacher and the screen in the front. 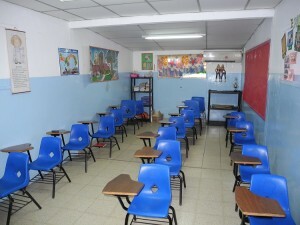 All classrooms are fitted with a screen as well as a projector. 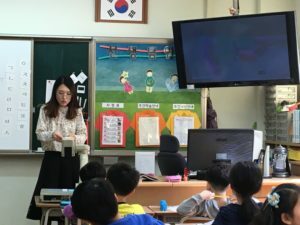 The teacher uses several videos for the kids to sing or speak along as well as her smartphone to show group works of the students on the screen in the front. Later she explains that she also documents some of the work for a platform that the parents have access to so that they can see what has been done in class. I ask her about using digital media in the classroom and how she learned to use them in different settings. She tells me that it was not part of her university education and that teachers tend to teach each other on the usage of media in the classroom. She uses a platform where teachers exchange ideas, concepts and tips on their work in the classroom. I am very impressed with all the colors, material and equipment in the elementary school. The afternoon passes by very quickly. I am excited. Now it is up to me to be in front and give a presentation on the education system in Switzerland. 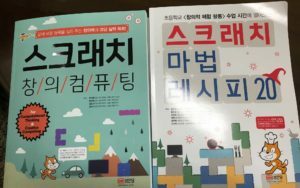 There are many differences to the system in Korea. One of the main differences is that most Koreans attend a university for their education as there is no dual education system like the apprenticeship in Switzerland. It is very tough to get into a good university and not everybody has the freedom of choice in terms of the subject they want to study. A good income and secure job situation is the main focus when preparing for the entry exams. Kids at a very young age start preparing for this exam by studying many hours, even late at night. 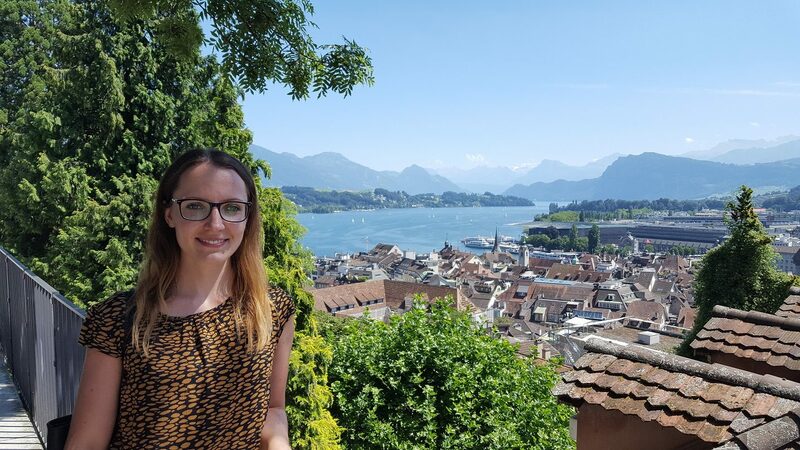 The students are very impressed with the options that the Swiss education system offers. Especially with the many different paths one can take. Despite the warning that probably not many questions will be asked, the students are not shy to speak in English and ask many questions. The days pass so quickly and soon I am on my way to the next destination, the Hyugo University of Teacher Education in Kato, Japan. I leave with many colorful impressions and a different view on our own work back in Switzerland. An exchange visit is such a powerful thing to do. I can only recommend it. 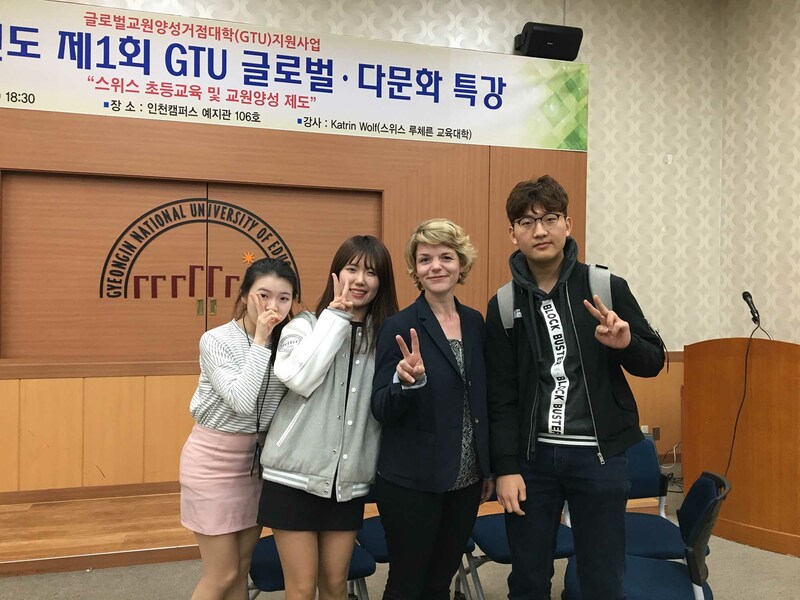 Thank you so much to our partner institution in Incheon, Gyeongin National University of Teacher Education and the team at the International Office in Switzerland who made this visit possible. 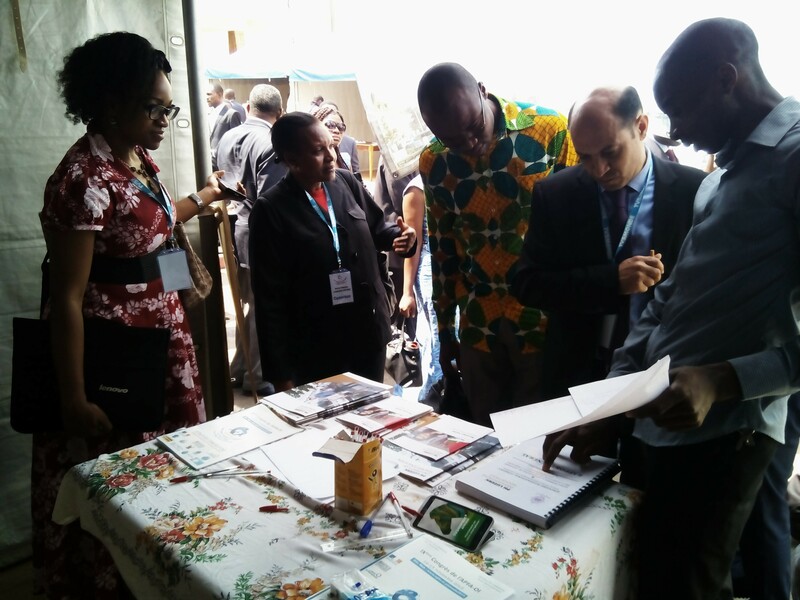 UTE Lucerne participated in the 9th congress of the Association of French Professors in Africa and Indien Ocean with a stand where possibilities of exchange were discussed. 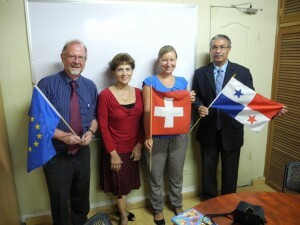 The interest in UTE Lucerne and it’s projects of international collaboration was remarkable. This encourages all the Swiss and Cameroonian colleagues implicated in this collaboration to continue their initiatives. Die HUTE hat das internationale Symposiums “Toward a self-transformative model of university of education” organisiert. Das Symposium umfasste zwei Keynotes und drei Referate von Vertreterinnen aus Partnerhochschulen, u.a. die PH Luzern, welche durch Prof. Kathrin Krammer, Leiterin Studiengang KU repräsentiert wurde. Das Symposium fand in Kobe statt und wurde von ca. 100 Personen der Lehrerbildung besucht und synchron übersetzt. Unterstützend lag ein Tagungsband vor, in dem alle Referate und Folien sowie weitere Hintergrundinformationen auf Englisch und Japanisch abgedruckt sind. Als wesentliche Aufgabe wurde die Bedeutung von weiterer Forschung zur LehrerInnenbildung herausgearbeitet (Entwicklung der Kompetenzen von Lehrpersonen in der Ausbildung und im weiteren Berufsleben, Lerngelegenheiten zur Kompetenzförderung, Instrumente zur Messung von Kompetenzen). Im Anschluss an das Symposium gab es einen offiziellen Empfang mit Musik und Essen, in dessen Rahmen der Rektor (President) der HUTE allen Beteiligten für ihre Beiträge dankte. Japan versucht derzeit, Studiengänge für Personen mit Hochschulabschluss zu etablieren (Professional Schools of Education), die einen starken Fokus auf die Praxis legen. An der HUTE wurden 2008 entsprechende Studiengänge eingeführt. Die bisher bestehenden Masterstudiengänge für den Lehrerberuf sollen sukzessive in Professional Schools überführt werden. Als spezielle Herausforderungen der Lehrerbildung in Japan wurden die Verbindung von Theorie und Praxis sowie von Fachwissenschaft und Erziehungswissenschaft sowie der Umgang mit aktuellen Entwicklungen und Problemen in der Volksschule wie z.B. Mobbing, Einsatz von ICT, Zusammenarbeit mit den Eltern und ein zunehmender Anteil von Kindern, welche eine spezielle Betreuung benötigen, genannt. Das Bildungssystem und die je spezifischen Herausforderungen für die Lehrerbildung in Japan, Finnland, Grossbritannien und der Schweiz sind im Tagungsband beschrieben. Das Symposium hatte das Ziel, Strategien für den Umgang mit den genannten Problemen und für die Weiterentwicklung der LehrerInnenbildung an den Universitäten zu erarbeiten. Es ist Montagmorgen, 07:30 Uhr. Alle Schülerinnen und Schüler des Colegios haben sich auf dem Sportplatz versammelt und werden vom Rektor Sergio mit einer Rede zur neuen Schulwoche begrüsst. 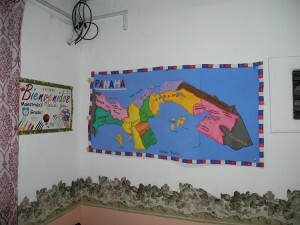 Danach wird die Bühne freigegeben für Carla aus der neunten Klasse, welche vor versammelter Menge auf die panamaische Flagge schwört, dass sie fleissig und zielstrebig lernen wird. Der Musiklehrer stimmt die panamaische Nationalhymne an und dazu wird die Fahne aufgezogen. Es folgen ein Gebet und wichtige Informationen zu Neurungen oder aussergewöhnlichen Anlässen. 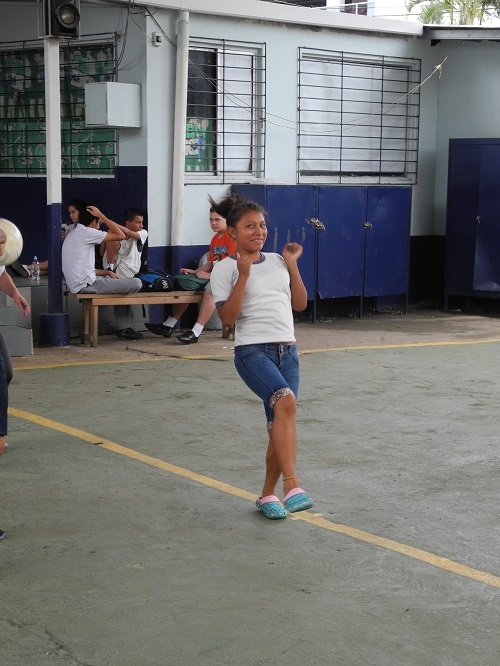 Diese Zeremonie wird jeden Montagmorgen durchgeführt und ist Pflicht für alle panamaischen Schulen. Es wird ausserdem verkündet, dass Debora aus der elften Klasse von den Schülerinnen und Schülern ausgewählt wurde, am Literazgo Juvenil teilzunehmen. 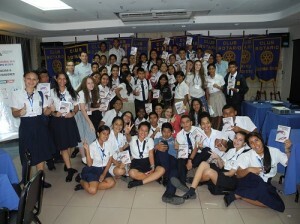 Vertreterinnen und Vertreter aus Schulen in ganz Panama nehmen während einer Woche an der vom Rotary Club veranstalteten Versammlung teil, um über wichtige gesellschaftliche Themen, welche die Jugenlichen als „die Zukunft Panamas“ betreffen, zu reden und die Erkenntnisse als Botschafter in ihre Schulen hineinzutragen. Vertreten sind auch, mit jeweils mindestens einer Schule, die sieben indigenen Refugien Panamas. Wichtige Persönlichkeiten aus der Regierung oder lateinamerikanische Berühmtheiten halten Vorträge zu Themen wie Gesundheit, nationalem Bewusstsein oder Klimawandel. Da wir während dieser Woche immer noch in Panama City sind und Hans Ineichen Präsident des Rotary Clubs „Ciudad de Panama norte-este“ ist, dürfen wir einer Veranstaltung der deutschen Botschaft beiwohnen. Die Konsulin Rohrer präsentiert den Jugendlichen einen Film zum Thema Recycling und Abfallbewirtschaftung. 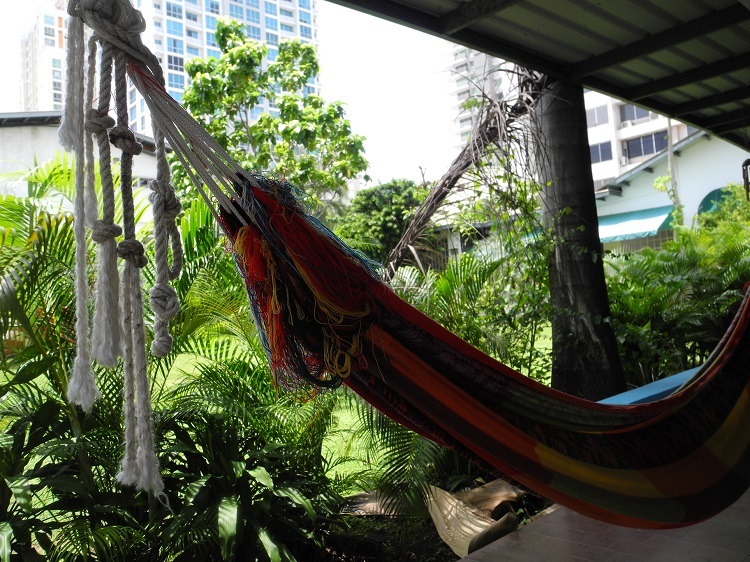 Danach wird in einem Workshop über die Abfallsituation in Panama gesprochen. Das Thema stösst auf sehr offene Ohren und die Jugendlichen diskutieren intensiv über mögliche Lösungen zur Abfallproblematik. 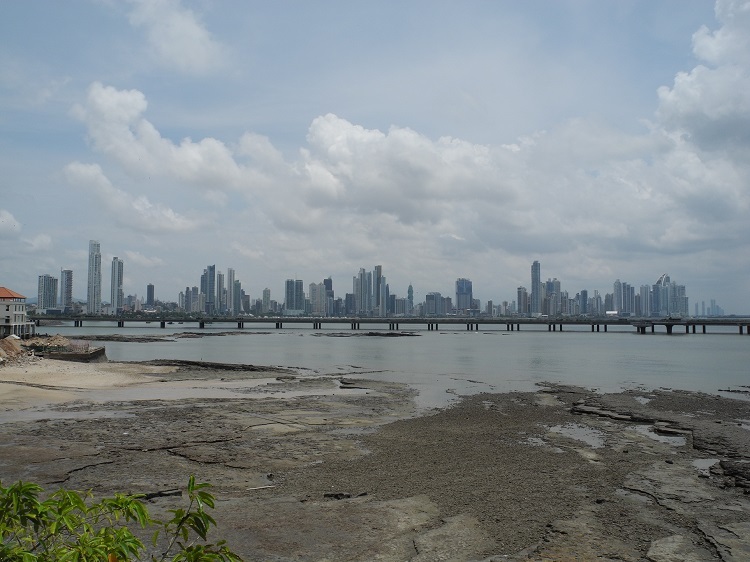 Und die ist in Panama sehr gross. Das Bewusstsein für einen verantwortungsvollen Umgang mit Abfall ist aus unserer schweizerischen Perspektive kaum bis gar nicht vorhanden in der panamaischen Bevölkerung. Zum Schluss erhalten alle den Film als DVD geschenkt, um ihn an ihrer Schule zu zeigen. Debora verspricht, bei einem der nächsten Fahnenaufzüge einen Vortrag zum Gelernten zu halten. After several phone calls between Hans Ineichen, the general director of the Colegio and Federico Castros secretary, an appointment has been set for Wednesday morning. 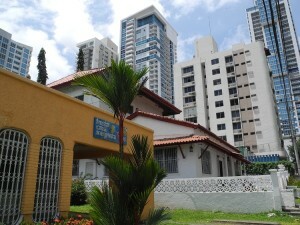 Exact times are not agreed in Panama. Wednesday morning elapses and still there is no sign of Federico Castro. Toward noon he seems to remember his appointment with us and postpones it to the next morning. On Thursday morning around 9:54 a.m. an inconspicious blue Suzuki shows up in front of the Colegio and a charismatic man around 50 years of age gets out oft he car and cordially greets us. He is here to discuss the introduction of a dual vocational education in the country of Panama. Until now, stundents who not intend to graduate high school and enter a university, leave school after 9th grade. They have the opportunity to complete some kind of vocational education, mainly in technical professions. The programme starts with a two months basic modul which has to be passed to receive a working contract in a private company. To enter the programme, students have to be 18 years of age. That results in a unengagement of many of the 15 to 18 years old as they leave school two years before they can start the professional programme. The visit of Federico Castro to discuss with him the advantages oft he Swiss dual vocational system is of great importance. He supports the idea, that not only university degrees are qualifying young people to become useful employees. 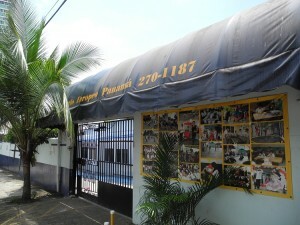 In Panamá exists quite a gap of sufficient qualified craftsman. 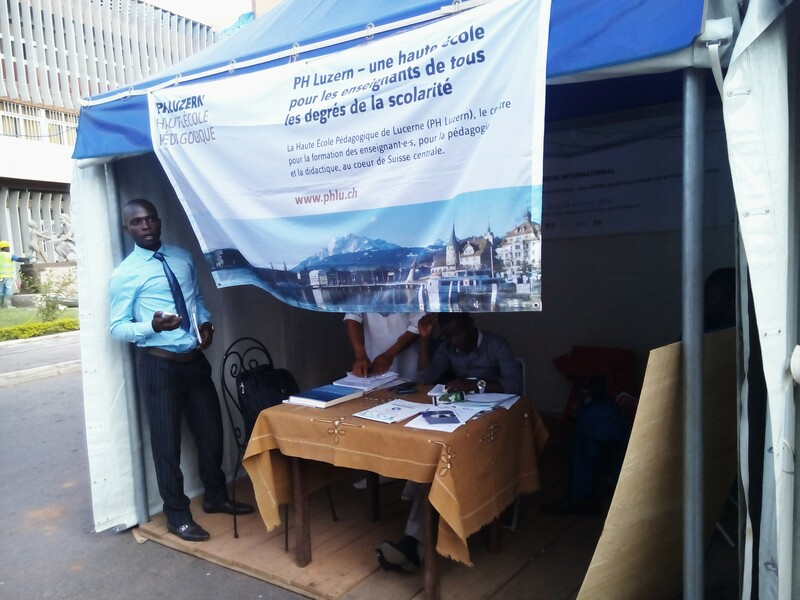 Also the vocational education has its main focus on technical professions, which leads to a lack of opportunities for female students, which do not intend to reach a university degree. Federico Castro seems to be commited to the Swiss system and asks us to prepare a presenation for the «Ministerio de Educación » on how the Colegio Europeo intends to implement a similar kind of professional training into the republic of Panamá. 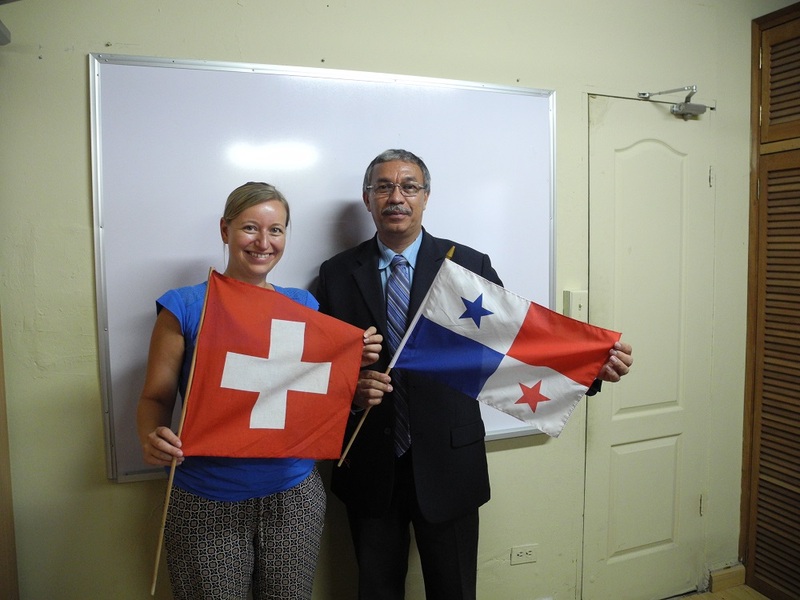 As Hans Ineichen, the general director, plans to convert the Colegio Europeo into a Swiss school which will be supported by the Swiss Government, the implemantaion of a voacational education programme seems reasonable and realizable. The implementaion could give an impulse to Panamenian society, that a professional education can be market-focused, of high educational quality and valuable for young people. A few days later we read in the local newspaper about demonstrations of the agricultural students who are not willing to travel for their future field researches all across the country. Der Regen hat etwas nachgelassen. Ingrid sammelt ihre persönlichen Sachen ein und verstaut sie in der glänzenden Tommy Hilfiger Tasche. Trotz der Hitze und der vorangeschrittenen Tageszeit macht sie den Eindruck, als hätte sie sich gerade eben für eine Party für geladene Gäste auf der Dachterrasse des Trump Towers zurechtgemacht. Verteilt im fensterlosen Deutschunterrichtszimmer des Colegio Europeo, welches sich unmittelbar neben der Casa Margarita befindet, stehen etwa zehn Stühle mit befestigten Klapptischen bereit, welche ihren Dienst für heute erfüllt haben. Das Colegio Europeo ist eine Privatschule mit insgesamt 250 Schülerinnen und Schülern. Von Kindergarten bis zum Bachillerato, der panamesischen Maturität, werden die Schülerinnen und Schüler ausgebildet. Das Colegio wurde vor 17 Jahren von Hans Ineichen, dem Schweizer Schulleiter gegründet. Durch gute weltweite Beziehungen, einen gesunden Menschenverstand und unternehmerisches Können ist es ihm gelungen, die Herausforderungen einer Schulgründung in Lateinamerika zu meistern. Unterstützt wird er unter anderem durch Vereine aus der Schweiz und das panamesische Bildungsministerium. Ingrids Mutter stammt ursprünglich aus Kolumbien und ist mit ihrem damals zweijähren Kind vor 20 Jahren nach Panama gekommen und hat ihre Tochter nie offiziell angemeldet. Bis zu ihrem 18ten Lebensjahr war Ingrid papierlos. Sie weiss nicht, wer ihr Vater ist. Ihre Mutter starb, als sie vier Jahre alt war. Zu ihren kolumbianischen Verwandten hat sie keinen Kontakt. Sie will nie wieder nach Kolumbien zurückkehren. Sie arbeitet seit ein paar Jahren am Colegio Europeo, dessen Stiftung für ihre Schulbildung aufgekommen ist. Ingrid ist im SOS Kinderdorf aufgewachsen. Sie spricht kaum über ihre Vergangenheit. Die Kontakte des Schweizer Schulleiters haben ihr dazu verholfen, für ein Jahr als Au Pair in der Nähe von Bern zu arbeiten und Deutsch zu lernen. Momentan herrscht Lehrerknappheit am Colegio. Insbesondere für das Fach Deutsch ist es schwierig in Panama Lehrpersonen zu finden. Lehrpersonen aus deutschsprachigen Ländern können nicht nach für Europa angemessen Gehältern entlöhnt werden. Obwohl das Colegio Europeo eine Privatschule ist, sind die Mittel begrenzt. Die Schulgebühren von 150 bis 180 Dollar im Monat entsprechen den Einkommensverhältnissen einer Mittelschicht, wenn beide Elternteile arbeiten. Auffällig viele Kinder wachsen allerdings mit nur einem Elternteil, meistens der Mutter auf. Das durchschnittliche Monatsgehalt einer Lehrperson liegt in Panama bei ca. 600 bis 700 Dollar. 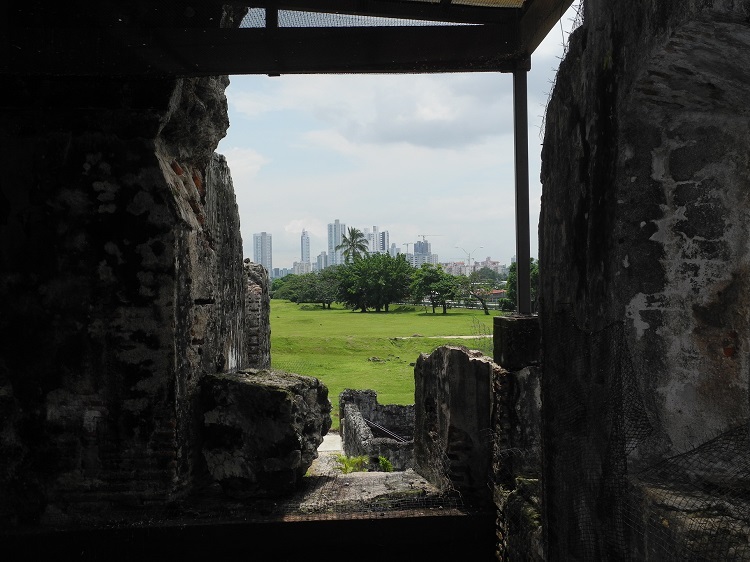 Die Mittelschicht in Panama ist allerdings rar vertreten. Dies führt zu einer Mischung am Colegio aus Estudiantes der Oberschicht und solchen aus den SOS Kinderdörfern, welche komplett durch die vor ca. 20 Jahren gegründete Stiftung des Colegios unterstützt werden. Ingrid hat das Colegio nicht wie geplant um 16:00 Uhr verlassen. Es gibt kaum einen Tag, an welchem etwas zu einer vorher festgelegten Zeit passiert. Es kommt oft vor, dass die Estudiantes morgens eine Weile ohne Lehrpersonen auskommen müssen. 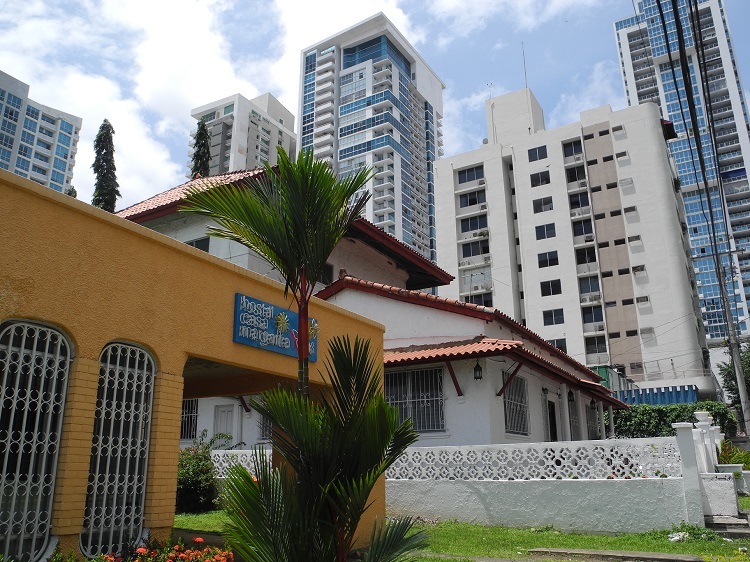 Pünktlichkeit wurde nicht in Panama erfunden. Der die Stadt auffressende Morgenverkehr macht ein Erscheinen auf Zeit allerdings kaum möglich. Gleich verhält es sich am Abend. Verlässt Ingrid die Schule nicht bis vier Uhr, kann sie nicht damit rechnen vor 21:00 Uhr zu Hause zu sein. Sie wohnt mit ihrer Katze in einer Wohnung in der Nähe des internationalen Flughafens Tocumen. Den Touristen wird abgeraten, sich dort nachts aufzuhalten. Heute betritt Ingrid das Colegio Europeo bereits um 06:15 Uhr. Sie hat es noch vor den grossen Verkehrsstaus am Morgen ins Zentrum Panamas geschafft. Bereits ein paar Minuten nach ihr strömen die erste Estudiantes in den Innenhof der blau bemalten Schulgebäude und stürmen zur Frühstücksausgabestelle. Die Eltern der jüngeren Schülerinnen und Schüler müssen teilweise sehr früh zur Arbeit und sind darauf angewiesen, dass ihre Kinder bereits ab 06:00 Uhr am Colegio betreut werden. Die Kinder aus den SOS Dörfern machen sich ebenfalls sehr früh auf den Schulweg, da die Dörfer weit ausserhalb des Stadtzentrums liegen. Es ist Freitag und der letzte Tag der Prüfungswoche am Colegio hat begonnen. Dreimal pro Semester finden während einer Woche benotete Prüfungen statt, welche Bestandteil des Abschlusszeugnisses sind. 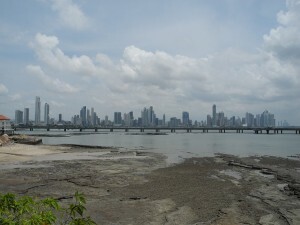 Sobald die Estudiantes den letzten Test abgegeben haben, geht es für die Primarschüler mit zwei organisierten Bussen los in Richtung Soberanía Nationalpark, welcher sich östlich von Panama City in der Kanalzone befindet. Für die Sekundarschüler werden auf dem Pausenplatz ein Barbecue und ein Fussballturnier veranstaltet. Dazu läuft in ohrenbetäubender Lautstärke Reggaeton, die in Panmama meist gehörte Musikrichtung der Jugendlichen. Fussball ist auch bei den Schülerinnen des Colegio sehr beliebt.